The Airing of the Quilts is held on the first Saturday of February each year at Maxine Barritt Park, 1800 Harbor Drive, Venice, Fl. 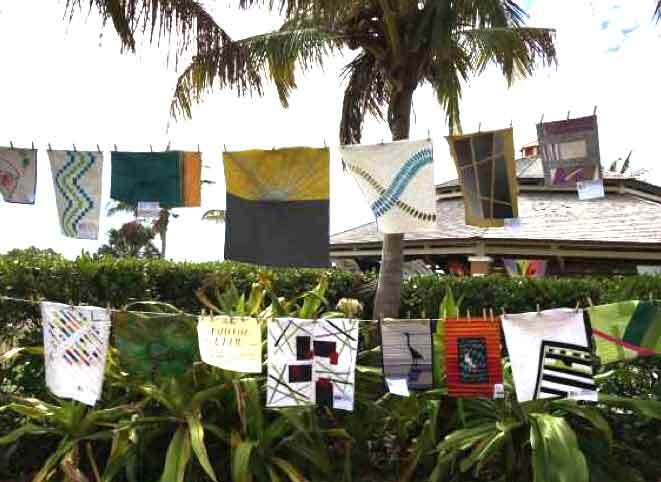 At this outdoor quilt display and sale, we hang our modern quilts in the gazebo and under the palm trees "airing" them in a gentle seaside breeze. *If you would like more information about this event, please use the contact form on this website. 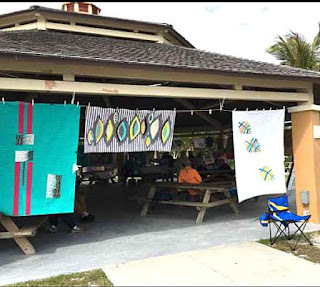 The 4th Annual Airing of the Quilts was held on February 2, 2019 at Maxine Barritt Park, 1800 Harbor Drive, Venice, Florida. A big thank you to Christine Ravish, committee chair! It was a huge success, a glorious day, and enjoyed by all! Airing of the Quilts 2018 was a cool cloudy day with many quilts flapping in the wind. The rain held off and the modern colorful quilts provided the bright spot of the day.